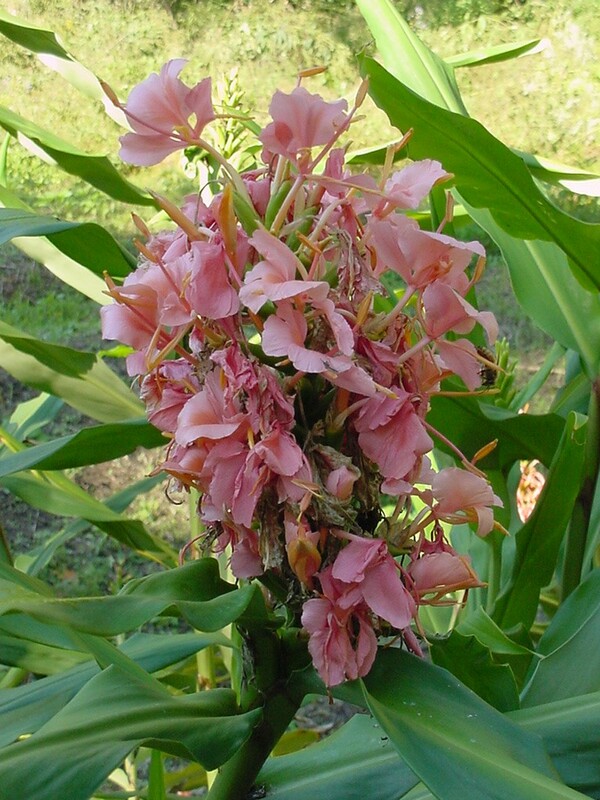 Comments: This ginger produces beautiful, fragrant, pink flowers in the warm months. It is root hardy to zone 7 and foliage hardy in zones 9, 10, and 11. This is a fast growing plant with bamboo-like leaves that can grow in boggy areas in a landscape.